Mountainbike Trainingplans XC racing, Mountainbike Personal Coaching, Mountainbike Trainingplans, Marathon Mountainbike, Technical skills - privat sessions, Mountainbike Clinics in Holland, Roadcycling Trainingplans. 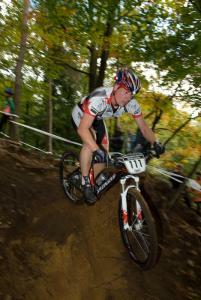 My name is Han ten Hove and I am cycling trainer specialized in Mountainbiking. After 6 years in the Royal Netherlands Marine Corps I missed the fysical challenge in civilian life. I found that challenge in Mountainbiking and as specially in the X country racing. In 2004 I started to coach and train other riders. I did the WT-3 and WT-4 trainers education and am certified trainer with the Dutch Cylcing Association (KNWU).To further improve my coaching skills I took the NLP practitioners course 2013.My approach and methods have proven to be very succesfull for young talents en national athletes. Athletes need to have a high internal discipline. The rest we will work on! Success. Coach Han ten Hove has been notified of your message.